Accra, Ghana – The Central Bank of Liberia (CBL) Executive Governor, Honorable Nathaniel R. Patray, III, Thursday, February 6, 2018, told a gathering of West African Monetary Zone (WAMZ) Central Bank Governors in Accra, Ghana, that Liberia remains committed to the effective implementation of the Road Map geared towards regional monetary and economic integration in the Economic Community of West African States (EC OWAS) in keeping with ECOWAS Monetary Cooperation Programme (EMCP), which Liberia is a signatory. Governor Patray expressed hope that the Technical Committee’s discussions and deliberations of the WAMZ would bring the region closer toward the goals of establishing a credible monetary union within the sub-region. The WAMZ founded on April 20, 2000 to establish the second monetary zone (the first being the West African Monetary Union comprising eight Francophone West countries) in ECOWAS to fast track the EMCP. The Member States of WAMZ are The Gambia, Ghana, Guinea, Liberia, Nigeria and Sierra Leone. Speaking at the 38th meeting of the Committee of Governors of Central Banks of the West African Monetary Zone (WAMZ), Executive Governor Patray said ECOWAS continues to make significant progress in sustaining economic growth and macroeconomic convergence in spite of the economic, political and social challenges faced by Member States. Governor Patray also noted the improvement by the ECOWAS in 2018, as six member states achieved growth rates of more than 6-percent, while 11 countries remained in single digits inflation. The CBL Executive Governor emphasized that the ECOWAS Commission in collaboration with the West African Monetary Agency (WAMA) with the active support of Member States central banks, is poised to implement the revised roadmap for a single currency for ECOWAS by 2020. The roadmap entails a series of activities and programs, the establishment of the common monetary policy framework and exchange rate mechanism, establishment of a common central bank, policy harmonization, etc. In a welcome statement, the outgoing Chairman of the Committee of Governors, Mr. Godwin I. Emefiele of the Nigerian Central Bank, spoke of the strides the region has made towards monetary integration. He said despite the progress the region is still faced with enormous challenges which require the collective efforts of all member states to overcome. 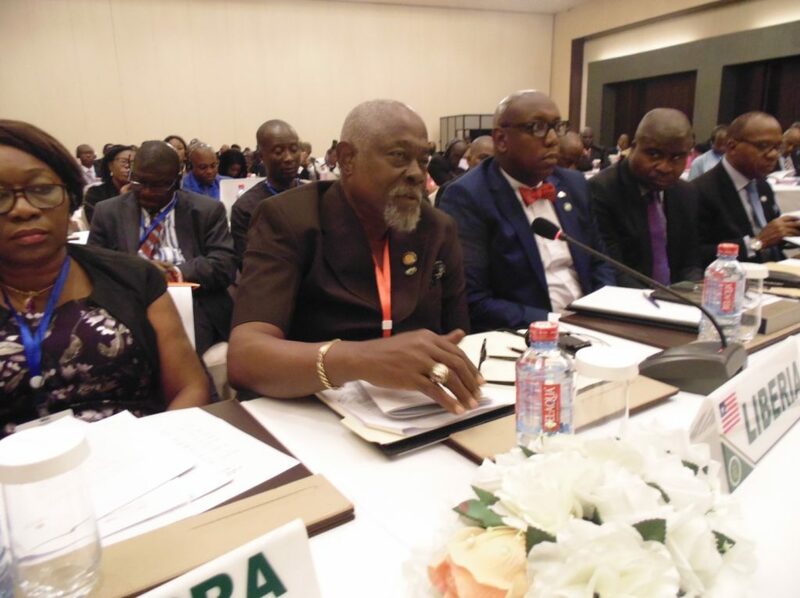 The Governor of the Bank of Ghana, Dr. Addison was elected the new Chairman of the Committee for the next term.